A new study carried out by Santiago García Rivera, an expert in Marine Biology at the University of Alicante, reveals the accumulation of more than 20 kilos of waste per square kilometre on the seabed surrounding Alicante, with plastic materials being the most abundant. The report states that plastics now account for around 30% (29.3%) of the waste materials to be found on the Mediterranean continental shelf, another example of the abusive consumption of this material. The highest concentrations of plastic are found in the Alboran Sea, where many areas exceed a density of 20 kilos of plastic per square kilometre, but there is also that same density in some areas of the waters around Torrevieja and off the coast of Alicante. And this is just the plastic that is of a sufficient size to be dragged by the nets, without even quantifying the microplastics. However plastic is only one type of solid waste that is found at the bottom of our seas, some quite surprising like concrete. Although its origin has nothing to do with the intense construction activity that takes place on land: it is a waste generated by the burning of fuel in the boilers of the steam boats, which remains despite the fact that they stopped sailing in the middle of the last century. 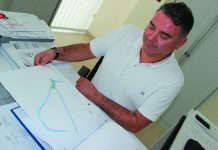 Metals and glass products also account for much of the waste as, In areas such as the Gulf of Alicante, García Segura says that the proportions amount to 21% for metal waste and 19% in the case of glass. 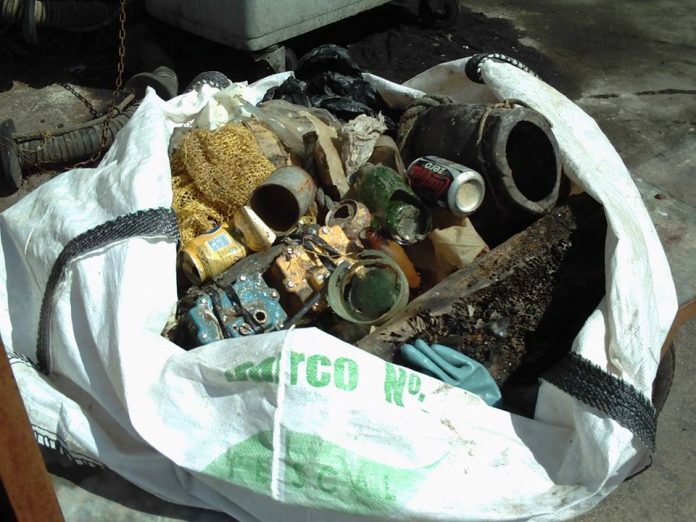 In his findings Garcia Rivera came across bottles full of cider, barrels, drums of oil, rags, tins of unopened paint. Also washing machines, refrigerators and all kinds of glass containers.